Passed following tests: FFMC and Classe SRA. 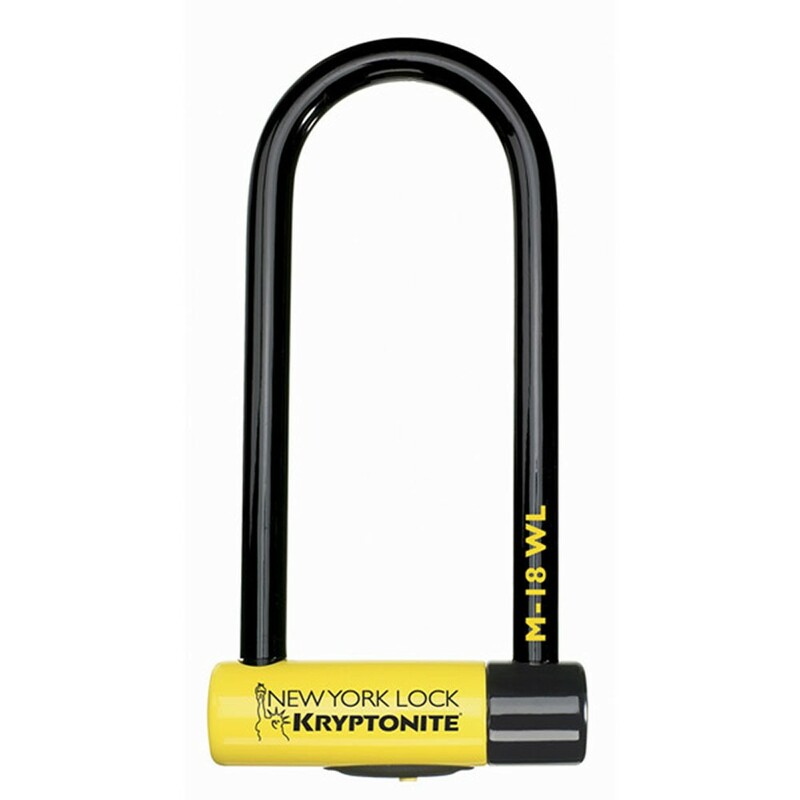 18mm Through-hardened Kryptonium Steel shackle resists bolt cutters and leverage attacks. High security disc style cylinder. Hardended steel sleeve over crossbar for double security. Double deadbolt locking for extensive holding power. Center keyway defends against leverage attacks. 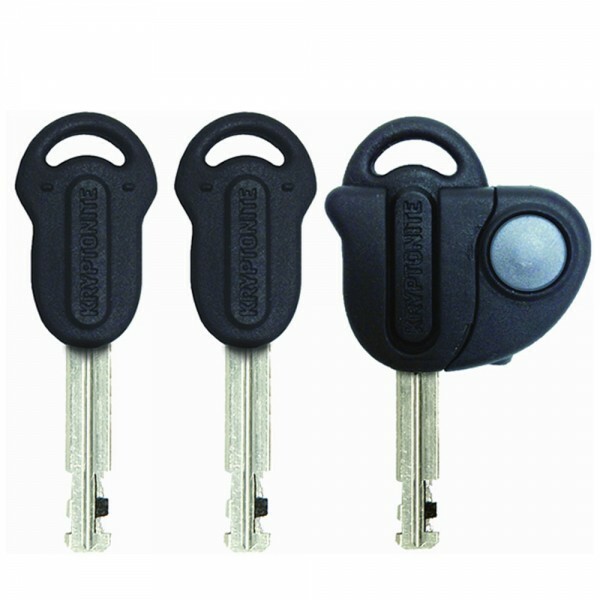 3 keys - one lighted for nighttime use. Protective vinyl coating. Free Lifetime Key Registration. Replacement keys available. Limited Lifetime Warranty.